Outside of a select circle of artists, jewelry aficionados and world-class violinists, the name Henryk Kaston probably does not ring any bells. Children and their parents, however, know the names Nemo, Marlin, Dory, and Gill, the world over thanks to the enormously popular 2003 Disney/Pixar film Finding Nemo. The characters have since become synonymous with their respective species but two decades before they were swimming on the big screen as animated art, Kaston gave them just as much life and personality as wearable art in dazzling precious materials. Kaston’s Clownfish brooch is rendered in gold with bright white diamonds and black enamel stripes. The precise proportions and minute details, such as the golden scales visible through the bright orange guilloché enamel, attest to his extensive research in marine biology. Kaston’s Emperor Angelfish (Pomacanthus imperator) is rendered in gold with a cabochon sapphire eye, warm yellow diamonds, bright white diamonds, vibrant royal blue and black enamel. While the forgetful character of Dory (voiced by Ellen DeGeneres) was a Pacific Regal Blue Tang, their flat, wide form as well as their coloring is very similar. It is easy to see why both the animators as well as Kaston were drawn to these similar fish species. The Moorish Idol (Zanclus cornutus) aka Gill (voiced by Willem Dafoe) has been one of the most iconic coral reef fish as it is a favorite of photographers and bathroom decorators alike. Kaston’s Moorish Idol rendered in gold with a tiger-eye, warm yellow diamonds, bright white diamonds and black enamel is striking in both its coloration and bold form. The dramatic crested dorsal fin is an attractive form that catches the eye, be it animated or bejeweled. As a young man with only $5 in his pocket, Henryk Kaston emigrated from Poland to New York City during World War II. He went on to become a violinist with the Metropolitan Opera, an inventor, one of the finest bow-makers of all time as well as a master jeweler. The ever-modest Kaston once recalled “I’m not really sure that I want to be known as just a bowmaker or a jeweler or a violinist. All these things are equally important to me; but I’ve never felt a need to advertise myself”. Regardless of the medium, his talents are evident in his refined work. While the musical instrument community chided Kaston for not solely devoting himself to bowmaking, his friend Salvador Dali, the world renowned surrealist artist and master jeweler, encouraged him to also focus on creating fine jewelry. Kaston produced a limited collection of Dali’s earlier fine jewelry designs, most notably the iconic crying eye, honeycomb heart, the Marilyn Monroe lips and the Tristan and Isolde brooches. 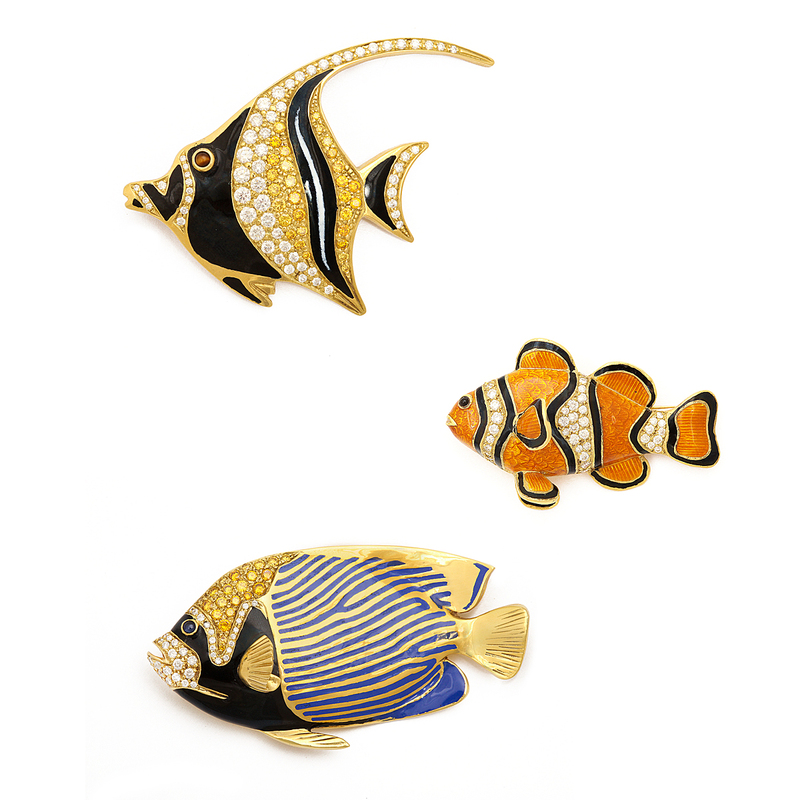 The Dali jewels are Kaston’s most well known pieces of jewelry, but as these fish brooches attest, he was much more than just a producer of someone else’s designs. In their extensive research, the Pixar team surely came across the work of Dr. Herbert Axelrod and his publication The Tropical Fish Hobbyist. 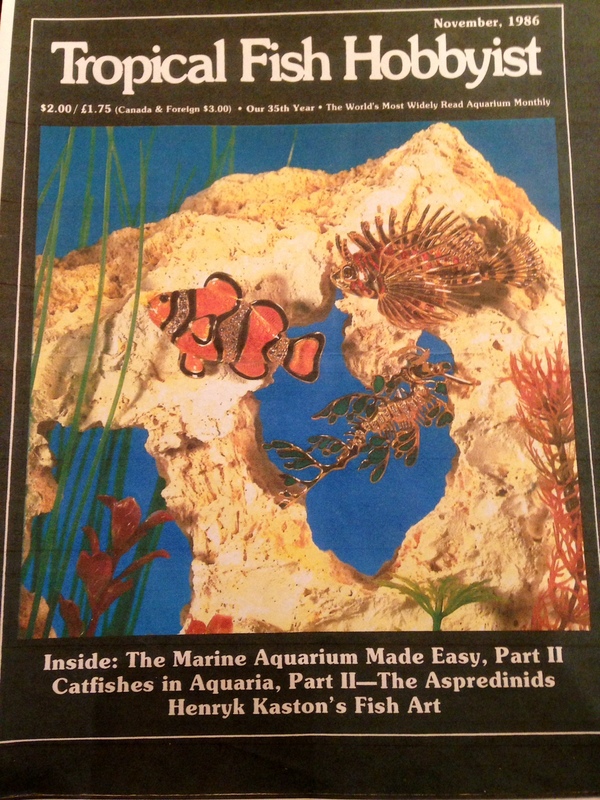 The world-renowned scientist and tropical fish expert started the publication in 1952 and it continues on today. 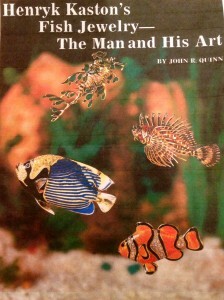 In the early 1980s, Dr. Axelrod gave Henryk Kaston many books on tropical fish for him to peruse. The vibrant beauty and natural grace of the exotic fish inspired Kaston to again turn his expert hand towards jewelry. 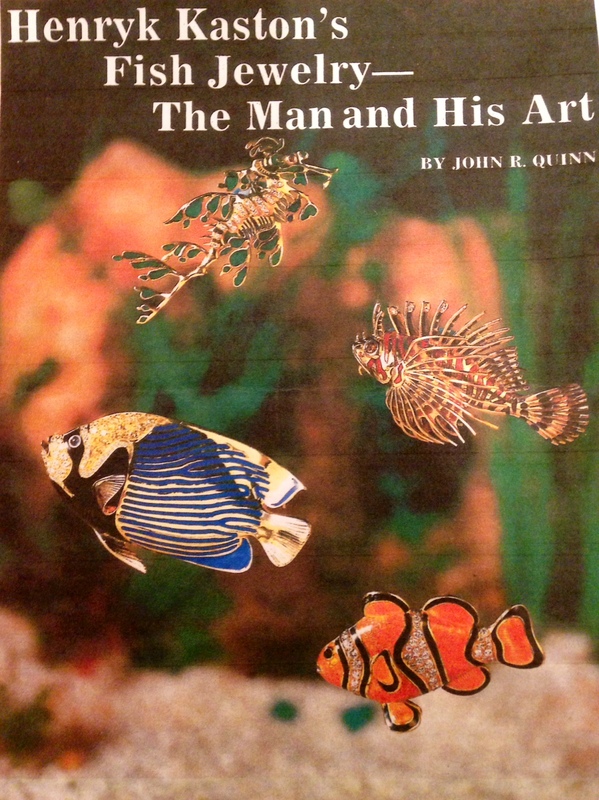 He scrupulously studied the nuances, patterns and characteristics of the fish that he found the most captivating. 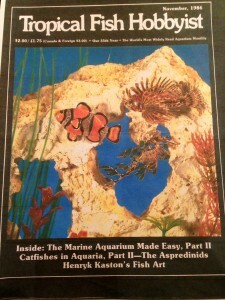 Axelrod applauded Kaston’s bejeweled fish and in 1986, three of his brooches, photographed in an aquarium, graced the cover of the November issue of TFH. The playful but shy nature of the Ocellaris Clownfish (Amphiprion ocellaris) aka Marlin (the fretful father voiced by Albert Brooks) and Nemo (the rebellious yet loving son voiced by Alexander Gould) inspired the story of Finding Nemo. Andrew Stanton, the co-writer and director of the film had always been drawn to marine life and had toyed around with the idea of creating an animated underwater world for years. The plotline fell into place when he later came across a photograph of two Clownfish peeking out from an anemone in an issue of National Geographic. They appeared to be playing peek-a-boo and Stanton was enthralled. We will never know if the Clownfish also served as the initial inspiration for Kaston’s line of fish jewelry, but of the thousands of species of tropical fish, it is notable that both Kaston and the Pixar animators were drawn to the Clownfish, the Angelfish and the Moorish Idol. Despite the vastly different mediums, both Kaston and the Pixar animators achieved the perfect balance of faithful biological representation while giving each fish a distinct and charming personality.